The Mix Master is a fully insured professional DJ and Limousine company with a showroom located in Sacramento, California. Your invited to come by to meet your DJ, see the sound systems and hear your favorite music before your special event. You can also preview our fleet of beautiful Limousines. - Call for an appointment. 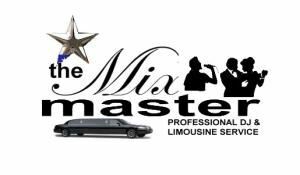 The Mix Master Limousine division over 23years ago and are quickly becoming well known in the California region. The Mix Master provides well maintained Limousines and uses the latest models such as Chrysler 300, Black Stallion Party Limo Bus, H2 Hummer, Cadillac Escalade and your traditional Lincoln Towncar. Our Limousines have special amenities such as, Flat Screen TV and DVD, CD Stereo, sunroof, privacy partition, iced beverage storage, bar and crystal glassware, neon and fiber optic lighting, champagne or cider, red carpet, and balloons depending on the occasion. We can also save you money by getting you into night clubs free.- Our Chauffeurs are carefully selected.